Surprise your taste buds with this flavorsome treat. Rich, intense dark chocolate beautifully conceals a delightful surprise. As soon as you bite into one of these dark chocolate covered cherries your taste buds will be awakened and yearning for another bite. You'll be so enthralled with the flavor of this treat that you'll forget that it's also a healthy snack choice. Dark Chocolate (Sugar, Chocolate Liquor, Cocoa Butter, Anhydrous Milk Fat, Soy Lecithin (An Emulsifier), Vanilla), Dried Cherries, Sunflower Oil, Gum Arabic, Corn Syrup, Sugar, Certified Confectioners Glaze. These are a winner! They were packaged perfectly, as always. Great value. Great taste. The perfect anecdote to a sweet tooth. Highly recommend. these chocolate covered cherries are fantastic!!!! I just love them! Liked the taste of the cherries, but I thought the chocolate was a bit too sweet. i thought the cherries are a bit on the small side, i’m used to those big red chocolate covered cherries. my daughter loves them though. Great value, quality was also tops. 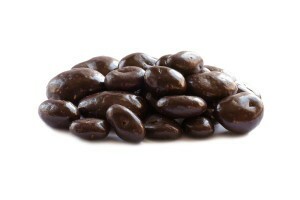 These decadent dark chocolate dried cherries are a must have. Super fresh and delicious. I ordered dark chocolate covered cherries. I got dark chocolate covered bridge mix. Second time my order has been screwed up. All the great taste of traditional chocolate covered cherries without the sticky goo! These are great – all the taste of chocolate covered cherries without the sticky sweet goo. 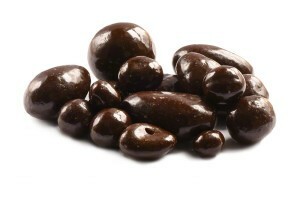 Delicious Dark Chocolate Covered Dried Cherries. Fast turn around from purchase to arrival. Ordered a couple of times. I do wish an ingredient list and nutritional facts would accompany each product ordered.